Chris Legard is Managing Director of the men’s clothing retailer Joseph Turner. Here, he shares his top tips for packing for a business trip. Packing for a business trip is never easy. You’ll often have to fit all of your work clothes, accessories, and laptop into a carry-on bag and, somehow, find a way to look business-appropriate once you get to your destination. It’s no wonder that even the most seasoned of business travellers can struggle with the task. Here you’ll find my top tips for packing for a business trip, which should take a lot of the stress out of the process. Read on to find out more. There are two things you need to know before you put a single thing in your carry-on: how your itinerary is shaping up and what the weather is going to be like. 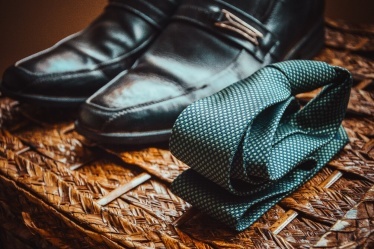 Many business travellers make the mistake of only packing clothes that are work-appropriate, forgetting that they might have some downtime that doesn’t require a suit. So, it’s important that you find out what you’ll actually be doing while you’re away. Similarly, you should check the weather forecast for your destination using a reliable tool like the Met Office’s weather app to ensure you pack clothes that suit the climate. For example, if you’re going to be working in a location that gets a lot of sun, you might want to pack a couple of short-sleeved shirts and one with long sleeves. How many days will I be working? Are there any events planned outside of work? Will I have any downtime that requires more casual clothing? Once you have the answers, you can begin to assemble your wardrobe for the trip. As it’s likely you’ll only be travelling with a carry-on bag, you need to be savvy with the space you have. The best way to do this is by curating a capsule wardrobe with a few interchangeable pieces that can be worn in a variety of different combinations. If you’re only going away for a couple of days, you might be able to survive with one suit, a couple of shirts, and a change of tie. But, if you’re going away for any longer, I’d recommend taking a second suit — especially if you’re spending a lot of time with the same people. White shirts are perfect for business trips, as they don’t make much of a statement so can be worn multiple times without anyone noticing (as long as you don’t spill food or coffee down them, of course). And, it’s easy enough to alter the look of your otherwise neutral outfit by switching out your tie. As for shoes, I would recommend taking a smart pair for work, and a more casual pair for when you’re travelling or enjoying any spare time you have. Black dress shoes are the most versatile, as they work with black, grey, and navy suits, according to Real Men Real Style. So, they’re a wise choice regardless of how long you’ll be travelling for. You won’t want your clothes to look too worse for wear when you eventually unpack them at your destination. So, you need to put a lot of thought into the way you pack your clothes. Folding and rolling any items that don’t crease too easily, such as T-shirts, jeans, and underwear, will help to save space. And, when it comes to workwear pieces like shirts and trousers, these should be packed using the “alternate folding” method. This involves folding one garment inside another to prevent creases from forming. Check out The Art of Manliness’ guide to packing a bag when travelling for more advice on how to do this. Follow these three top tips when packing for all of your future business trips, and the process is guaranteed to go much smoother.